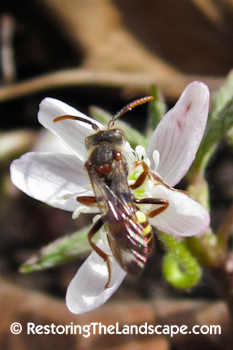 Restoring The Landscape With Native Plants: Native Bee Spotlight: Cuckoo Bee ~ Nomada spp. 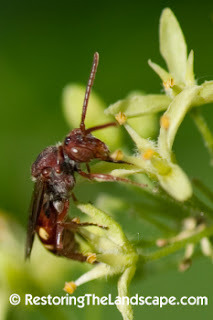 Native Bee Spotlight: Cuckoo Bee ~ Nomada spp. Cuckoo Bee ~ Nomada spp. There are many types of native Cuckoo Bees, this Cuckoo Bee falls in the same family (Apidae) as Bumble and Honey Bees. As the common name suggests, like Cuckoo Birds, Cuckoo Bees lay their eggs in the nests of other bees. In our region, the Cowbird would be a good comparison. 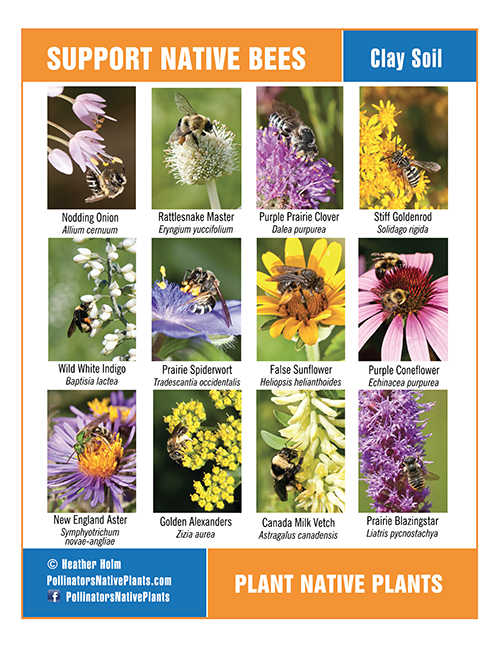 Why go to all the work of collecting pollen and nectar to provision a nest when another bee can do it for you? I typically see this particular Cuckoo Bee in early spring, from March - May. A cleptoparasite of Mining and Sweat Bees, females sneak in to the ground nests of the host bee, lay 2-4 eggs alongside the host egg. When the first Cuckoo Bee larva hatch it kills its siblings and host egg/larva. As the Nomada larva develop, it consumes the host bee bread (a combination of pollen and nectar). Nomada sp. are typically a reddish-brown color with yellow spots, thick antennae and thin legs. 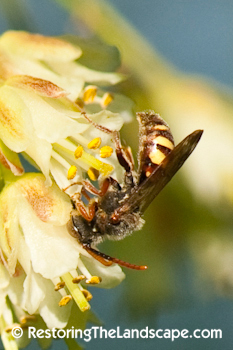 The rear legs do not have any pollen collecting hairs because they have no need to collect pollen. 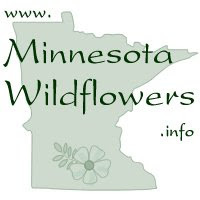 If you see Cuckoo Bees visiting flowers, they are only there for the nectar. Pictured visiting the flowers of Wafer Ash (top), American Bladdernut (middle), and Wild Geranium (left). Also on spring beauty (left). 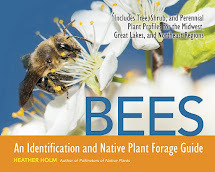 I have Mining Bees (Andrena spp.) nesting in the sandy soil of the south slope in our yard. 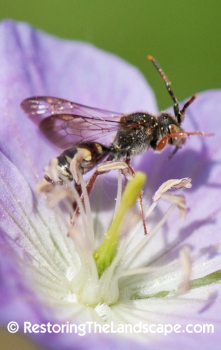 In early spring, several of these Cuckoo Bees will be flying low to the ground landing on sticks and leaf litter seeking out the nests of the Mining Bees.